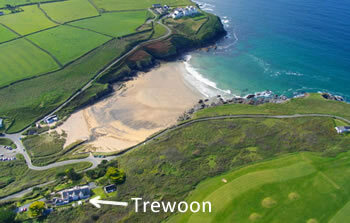 The three holiday seaside cottages are all located in the grounds of Trewoon overlooking Poldhu Cove, Cornwall. 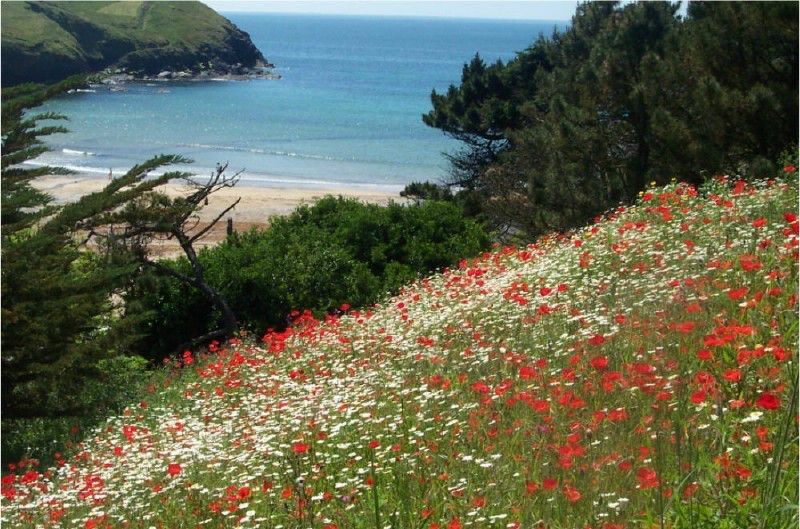 As the picture from the gardens show the self catering holiday cottages are situated in a spectacular front line position directly above the picturesque sandy beach at Poldhu Cove. 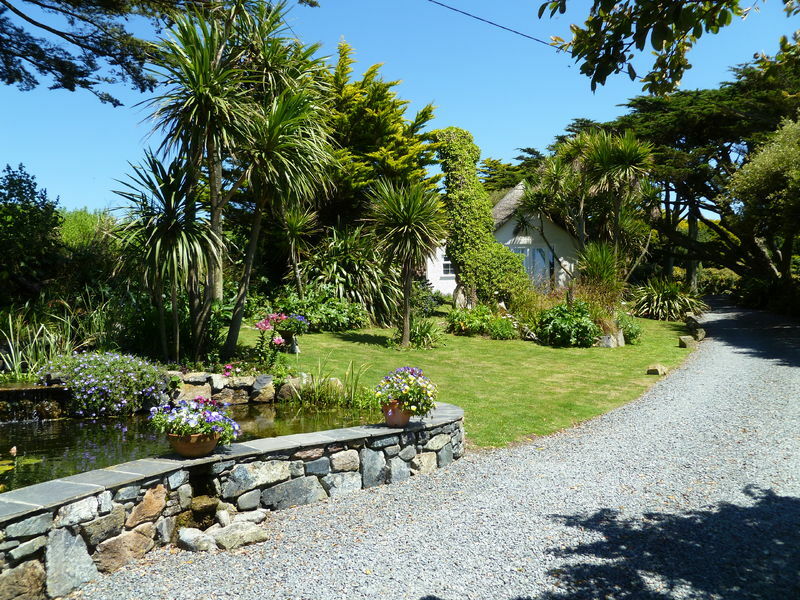 There are two and a half acres of landscaped gardens at Trewoon which guests are free to use and explore. There are a series of private paths through the gardens which take you directly down to the cove. 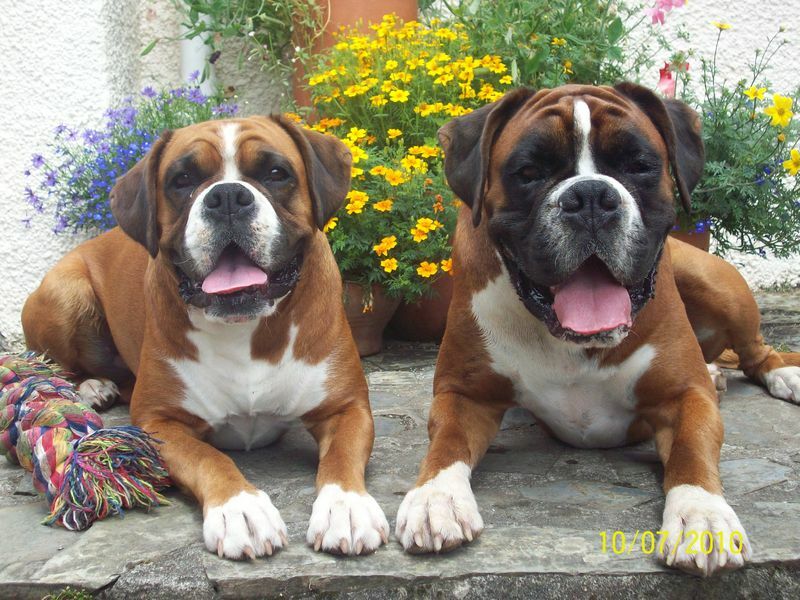 The gardens are a mixture of secluded and sheltered lawns which are ideal for sun bathing. There are open grassed areas and natural woodlands which are populated with several species of wildlife including badgers, rabbits and foxes. A family of badgers visit the cottages each evening to recover the peanuts which are left out for them. The grounds are interspersed with meandering footpaths from which you can admire the magnificent and far-reaching views of the beach, cove and Mount's Bay. The rear boundary at Trewoon runs adjacent to Mullion Golf Course, the most southerly golf course in the United Kingdom. The golf course is open to visiting golfers with special rates available for guests. 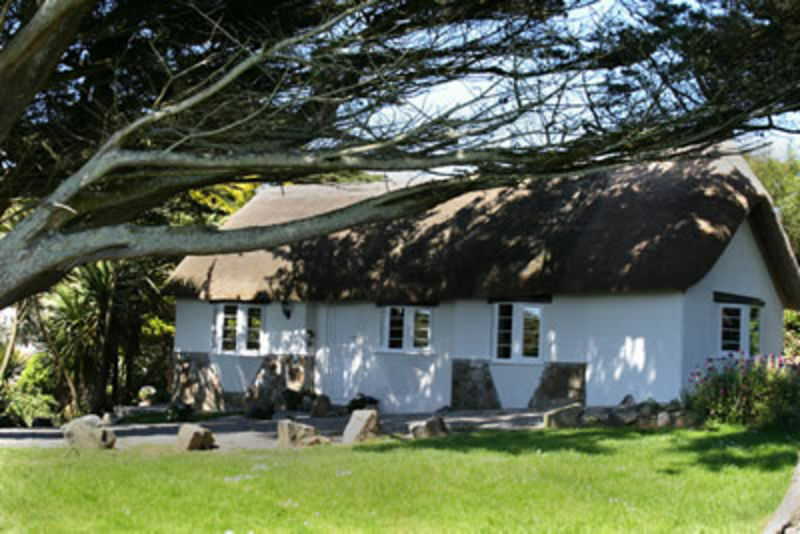 "The Chocolate Box", Poldhu Cove is a cosy five star thatched gatehouse cottage located close to the entrance to the grounds of Trewoon. 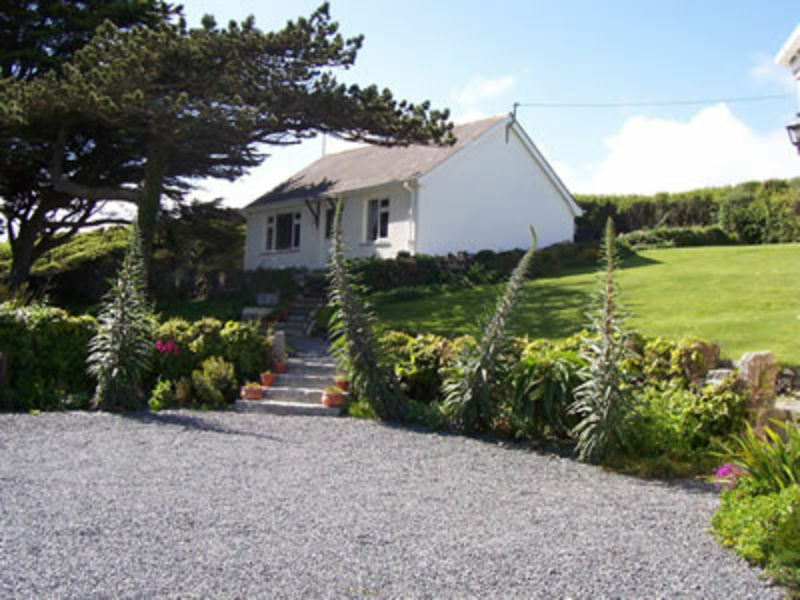 The Chocolate Box sleeps 2 and is self catering. 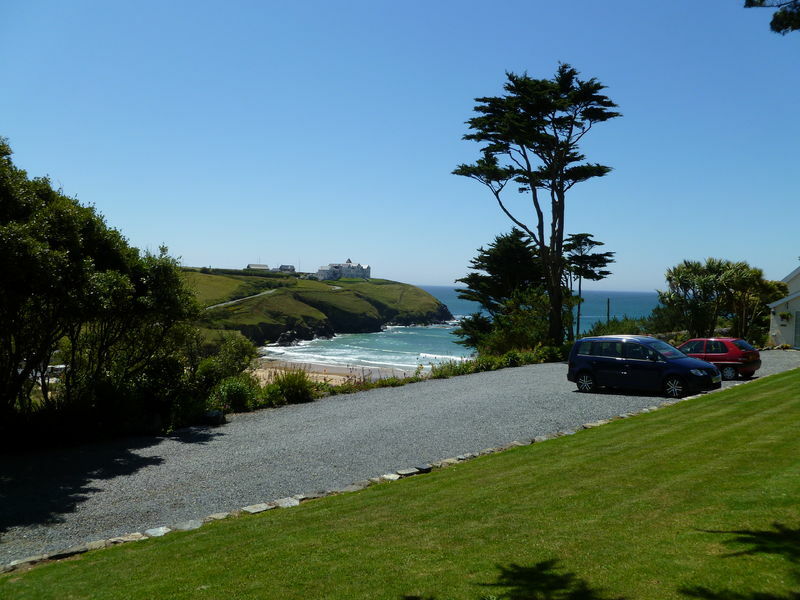 "Rest-a-Shore", Poldhu Cove is a luxury five star detached cottage with magnificent views situated at the seaward side of the grounds and is set within its own gardens. 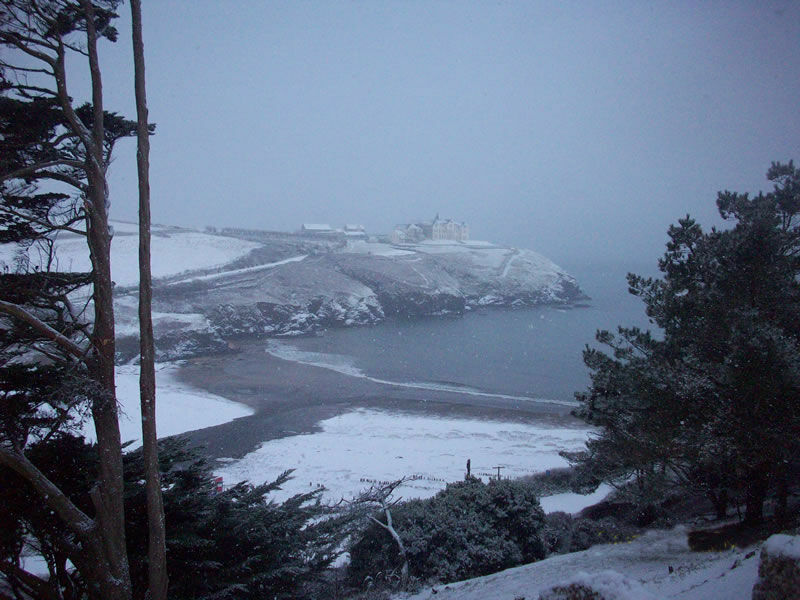 The holiday cottage property sleeps 4 and is self catering. 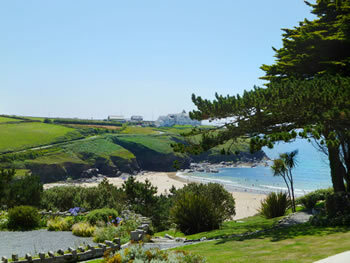 "By the Seashore", Poldhu Cove is luxury five star holiday cottage with superb views sleeping four and is self catering. 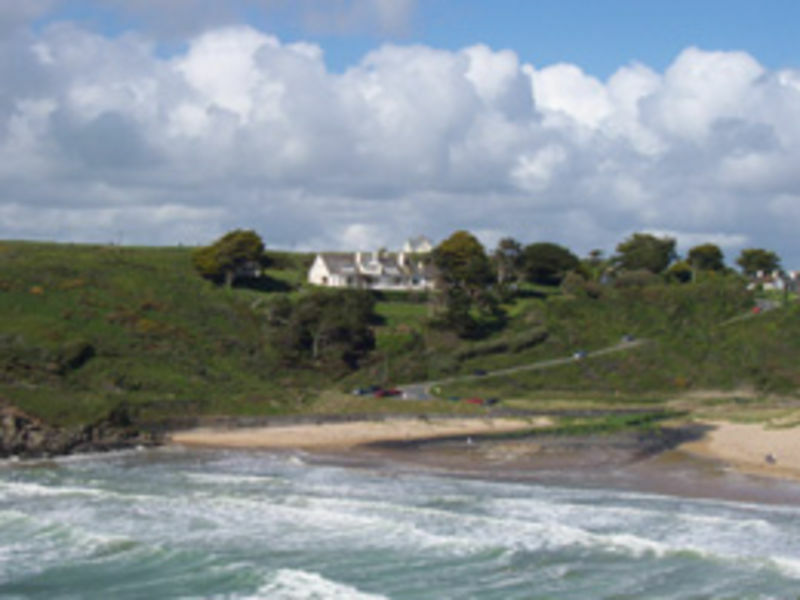 For more information about the three Cornwall self catering holiday cottages at the seaside at Poldhu Cove, Mullion, Lizard, Cornwall please either click on the cottage names above or click here for a more informaton in relation to each holiday cottage.